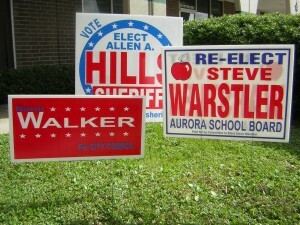 known as lawn signs corrugated plastic this plastic sign product used to boost business and political campaign. builders they use pvc and styrene. 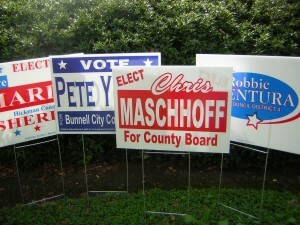 Political signs, yard signs, screen printed signs, bandit signs, corrugated plastic signs offer durability and are a great advertising value. These custom printed signs are great for political campaigns, real estate, construction, churches, youth leagues, investors and more. These plastic signs are high quality, weather resistant and last for three years outdoors in most conditions. 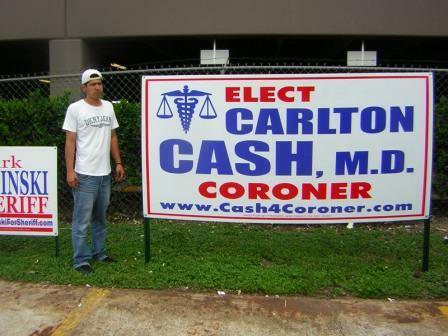 Coroplast is the most rigid of our yard sign materials. It is the economic choice when printing orders under 500 signs. Coroplast is an outdoor material and is made from corrugated plastic, which gives it strength and rigidity. 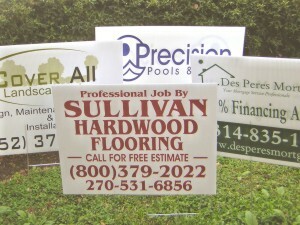 When passing motorists see your yard sign in a customer's front lawn, your customers are actually recommending your work to each of their neighbors. Some contractors place a sign on each jobsite and on the road leading into the community. Everyone will recognize your company name, what you do, and with only your phone number to call! Plus, you're getting sales referrals in the same area that you're working. We provide custom signs, road signs, political signs, church signs, real estate signs, house signs and yard signs for a wide range of professionals and trades/contractors. Some of them are real estate agents, property investors, political candidates, contractors, painters, plumbers, carpenters, roofers and many more. We use high quality plastic corrugated plastic signs to give you extended durability. To get the best mileage from your signs, we can help you prepare messages for your signs that will pull the best results. Corrugated signs can be used for indoor and outdoor conditions and are far more weather resistant than their cardboard alternatives. Impervious to most oils while retaining their shine longer these signs will display your logos and other graphics effectively.